His parents trust him with their car. Trust is confidence in the honesty or integrity of a person or thing. An example of trust is the belief that someone is being truthful. 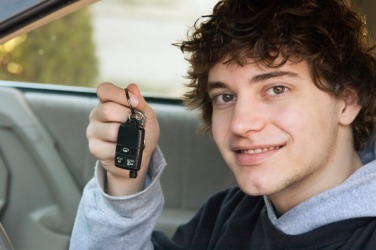 An example of trust is the hope a parent has when they let their teenager borrow a car. The definition of a trust is an arrangement made that gives control or ownership of a property to someone for the benefit of another person. An example of trust is a bank account that a person gets access to when they turn 21. Trust is defined as to have confidence, faith or hope in someone or something. An example of trust is believing that the sun will rise in the morning. An example of trust is having faith that things will be better in the future. "trust." YourDictionary, n.d. Web. 20 April 2019. <https://www.yourdictionary.com/Trust>. something entrusted to one; charge, duty, etc. an industrial or business combination, now illegal in the U.S., in which management and control of the member corporations are vested in a single board of trustees, who are thus able to control a market, absorb or eliminate competition, fix prices, etc. An institution or organization directed by trustees: a charitable trust. A combination of firms or corporations for the purpose of reducing competition and controlling prices throughout a business or industry. To give credence to; believe: I trust what you say. To have or place reliance; depend: We can only trust in our guide's knowledge of the terrain. Middle English truste perhaps from Old Norse traust confidence ; see deru- in Indo-European roots. These nouns denote a feeling of certainty that a person or thing will not fail. Trust implies depth and assurance of feeling that is often based on inconclusive evidence: The mayor vowed to justify the trust the electorate had placed in him. Faith connotes unquestioning, often emotionally charged belief: “Often enough our faith beforehand in an uncertified result is the only thing that makes the result come true” (William James). Confidence, frequently implies stronger grounds for assurance: “Confidence is a plant of slow growth in an aged bosom: youth is the season of credulity” (William Pitt). Reliance connotes a confident and trustful commitment to another: “What reliance could they place on the protection of a prince so recently their enemy?” (William Hickling Prescott). Dependence suggests reliance on another to whom one is often subordinate: “When I had once called him in, I could not subsist without Dependence on him” (Richard Steele). See Also Synonyms at care, rely. To place confidence in; to rely on, to confide, or repose faith, in. To give credence to; to believe; to credit. To hope confidently; to believe; usually with a phrase or infinitive clause as the object. to show confidence in a person by intrusting (him) with something. To commit, as to one's care; to intrust. To give credit to; to sell to upon credit, or in confidence of future payment. To risk; to venture confidently. (intransitive) To sell or deliver anything in reliance upon a promise of payment; to give credit. Middle English truste (“trust, protection"), from Old Norse traust (“confidence, help, protection"), from Proto-Germanic *traustÄ…, from Proto-Indo-European *drowzdo-, from Proto-Indo-European *deru- (“be firm, hard, solid"). Akin to Danish trÃ¸st, trÃ¶st (“trust"), Old Frisian trÄst (“trust"), Dutch troost (“comfort, consolation"), Old High German trÅst (“trust, fidelity"), German Trost (“comfort, consolation"), Gothic trausti (trausti, “alliance, pact"). More at true, tree. A complex concept studied by scholars from a number of academic disciplines. It is present in a business relationship when one partner willingly depends on an exchanging partner in whom one has confidence. The term “depend” can take on a number of meanings in this context, including the willingness of one partner to be vulnerable to the actions of the other partner, or the expectation of one partner to receive ethically bound behaviors from the other partner. Security issues regarding Information Technology center on maintaining trust in e-commerce transactions. A case of breach of trust occurred in March 2005. Harvard Business School administration said that as a result of unauthorized intrusions, it planned to reject 119 applicants who followed a cracker’s instructions to break into the school’s admission Internet site to see whether they had been accepted into the university. The behavior was cited by the school’s administration as being unethical and breaching trust. Other universities took similar punitive approaches to such breaches, including Carnegie Mellon University’s Tepper School of Business. These universities and others similarly affected used the ApplyYourself online application and notification software. Associated Press. Business Schools: Harvard to Bar 119 Applicants Who Hacked Admissions Site. The Globe and Mail, March 9, 2005, p. B12; Mayer, R., Davis, J., and F. Schoorman. An Integrative Model of Organizational Trust. Academy of Management Review, vol. 20, 1995, p. 709–734; Moorman, C., Deshpande, R. and G. Zaltman. Factors Affecting Trust in Market Research Relationships. Journal of Marketing, vol. 57, 1993, p. 81–101. (1) In network directories, a trust is the passing of the rights of one group to another. See trust relationship and network directory. (2) A computer system that is secure. See trusted computer system. (3) The belief that a document or message has not been tampered with and that it is coming from the person indicated and not forged in any manner. See digital signature. An arrangement in which property (either real or monetary) is put under the management and control of a trustee who is responsible for administering it for the trust beneficiary. A trust created by a will is called a testamentary trust. A trust created while the writer is still living is called an inter vivos, or living trust. A type of a corporate monopoly that was powerful during the late 19th and early 20th centuries that exerted strong influence over prices. Antitrust laws passed in the early 1900s destroyed the power of trusts. The name trust comes from a voting trust in which a small number of trustees controlled a majority of a company’s shares. A group or board of people who have been appointed to manage the affairs of an institution, such as a university. Property that is held by one party, the trustee, for the benefit of another, the beneficiary. The one who supplied the property or consideration for the trust is the settlor. Trust also encompasses any relationship in which one acts as a fiduciary or guardian for another. A trust whereby the settlor places all financial interests under the control of an independent trustee for a period of time, most often in order to avoid the appearance of a conflict of interest. A trust that is imposed by a court against one who has acquired property by wrongful means, in order to prevent the holder of that property’s being unjustly enriched and for the benefit of the rightful owner. No fiduciary relationship is created by this type of trust. A trust in which the settlor has granted the trustee the discretion to pay to the beneficiary as much of the income or principal as the trustee sees fit. This is the type of trust most often used in estate planning. A trust set up with an affirmative expression by the settlor (usually in writing) of the purpose of the trust. This is an ordinary trust as distinct from a resulting or constructive one. A trust set up to transfer property to a beneficiary more than one generation removed from the settlor, such as a grandchild. In this type of trust, the settlor retains so much control over the property in trust and/or its income that the settlor is responsible for taxes on that property. A trust created and takes effect during the lifetime of the grantor. An intervivos trust that receives money from another trust or other source or that distributes receipts to another trust.
. Trusts created by a will by use of precatory words such as “wish” or some other entreaty rather than specific direction. See also precatory. A trust brought about by law when the circumstances in which property is transferred that suggest that it was not the intention of the transferor to give beneficial interest in the property to the transferee. A trust created by a will and that comes into ­existence upon the death of the grantor. A bank account created by the depositor in trust for another. It is often used to name a successor to an account without the need to write a will. It is also fully revocable. The combination of voting rights among a group of stockholders to exert a higher degree of influence or control within the corporation, or to bring about a specific result. I can't trust her not to lie! I don't trust him, Natasha.